Winter is here, and with it, joy and celebration! We don’t know what it is about the latter months of the year, but there are celebrations all across the world! It’s not just Christmas, there are a million other things to celebrate around this time, and you will be surprised by the number of cultures you can explore during this brief period. 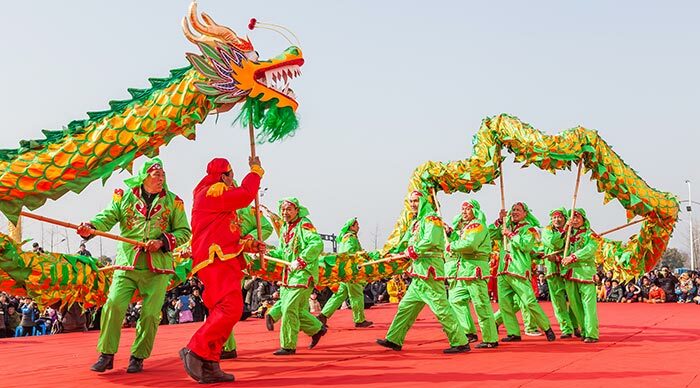 We’re sure you also want to be a part of these celebrations- so here are some of the top festivals around the world you should definitely not give a miss. Venice is the city of dreams. It is magical and is full of some of the friendliest people on the planet. For a long time now, during winter, the Venice Carnival is held. 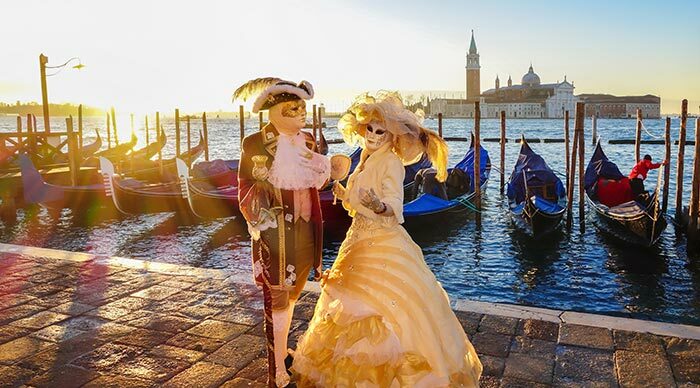 The streets are flowing with enigmatic and sultry masks, the gondolas brimming with mysterious characters wafting up and down the canals. It has become a huge spot for fashion lovers, as some unique costumes are worn by those participating in the festival. If you want to understand why Venice has historically captured the collective wonder of the world, this would be the best time for you to visit the city. 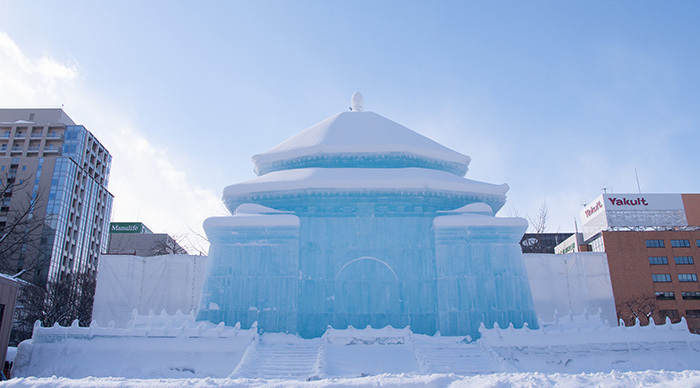 The Snow Festival in Sapporo, Japan, is one of the country’s biggest events. It happens in February, and attracts thousands of visitors from all across Japan and the rest of the world as well. Sapporo is a popular tourist destination on its own, due to its proximity to the mountains, and the sheer beauty of the city. During the month of February, a number of snow statues, sculptures and skating rinks go up all around the city. Sapporo blooms with a festive vibe, with the restaurants and bars putting their best festive foot forward. So, grab yourself a warm sake, and explore all the wonders of snow! Quebec receives its fair share of snow around the year, so they definitely know how to celebrate a festival held in the snow. The city goes all out in February, offering a number of snow-themed attractions. 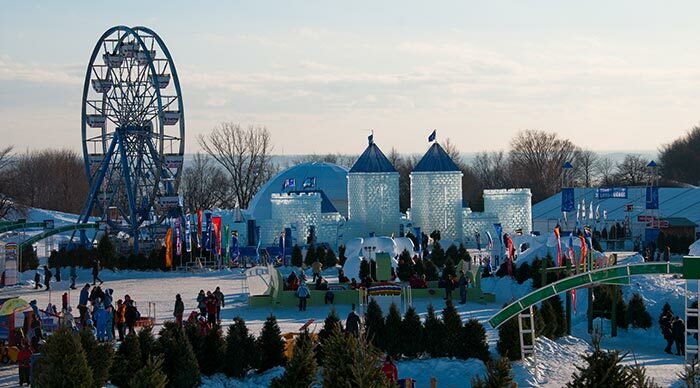 There will be a snow-themed amusement part, races, snow sculpture competitions and much more. If you’re a fan of winter sports, this is definitely the place for you to celebrate. You can go snow-rafting, or skiing, or compete in a snow sled race as well. Combine this with Canadian hospitality, and amazing food, and your holiday is pretty much set. Alaska has a rich culture that has been built around snow. So, you can imagine how culturally rich their Fur Rendezvous festival would be. 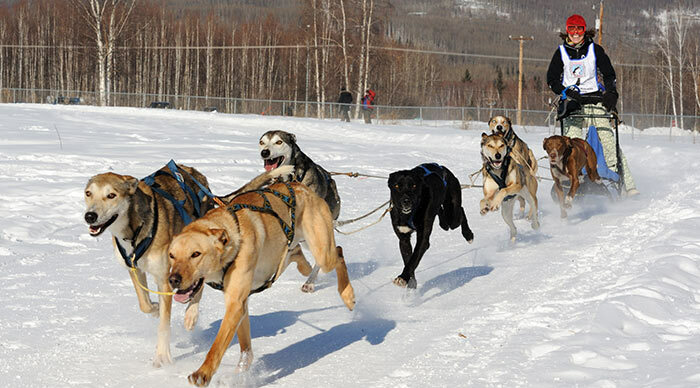 During the festival, a number of amazing events are held, including sled-dog races and running of the reindeer. Not only will you get to enjoy Alaska’s beauty, you will get to see some of its finest wildlife as well! 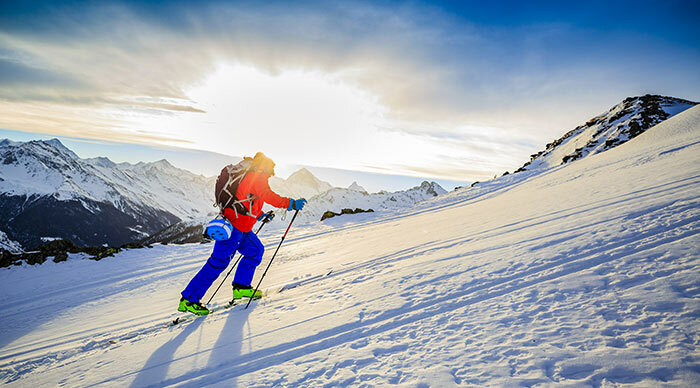 Don’t worry, there are a number of activities you can personally participate in as well, including ice-hockey, and the extremely adventurous frostbite footrace (make sure you read up on the challenges of frostbite foot-racing before you enter, though). 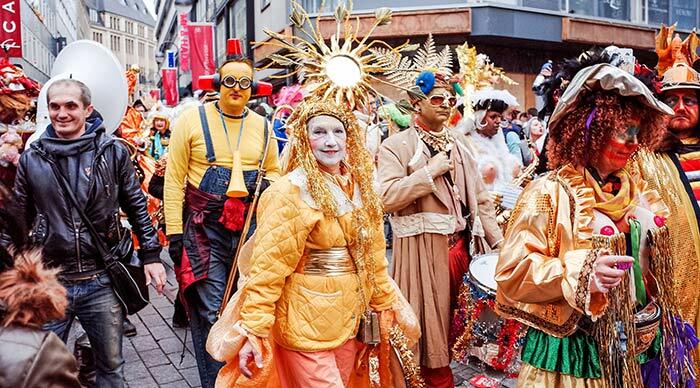 Nobody knows how to throw a party like the Germans, and they prove that with the Cologne carnival. The festival technically starts at 11.11 pm on November 11, but the celebrations are halted during the Christmas period. What can you do during the Cologne festival, you ask? Well, pretty much everything! There are a number of concerts, music festivals, art festivals, food festivals, and more and more happening in the city during this period. On Rose Monday, a huge parade is held in the city, with over 140 floats. There has never been a more joyous festival! China follows the Lunar Calendar, which means that their new year falls sometime in January or February. It’s one of China’s most important festivals, and an important time for families to celebrate together. Homes and offices are cleaned, firecrackers are set off everywhere, processions and carnivals are held in many cities and towns. Of course, no celebration would be complete without food, and that is the case with Chinese New Year. They have a symbolic new year’s meal that has long noodles, dumplings, and other yummy bites! What do you want to do this winter? Do you want to ski? Do you want to party? Do you want to attend a music concert? You can do all of this and more at the Brits Music and Winter Festival. The resorts and hotels offer some amazing packages for attendees, so you can do all these things at the same time. The festival has started attracting some big ticket musicians off late as well. Of course, if you’re feeling adventurous enough, you can also enter the British skiing and snowboarding championship! Shogatsu is the New Year’s festival celebrated in Japan. The Japanese New Year tradition is quiet and magical, and one you must definitely experience it at least once in your life. The Japanese take Shogatsu quite seriously, so all shops will be shut during this period. A lot of parties are thrown, and homes are decorated. 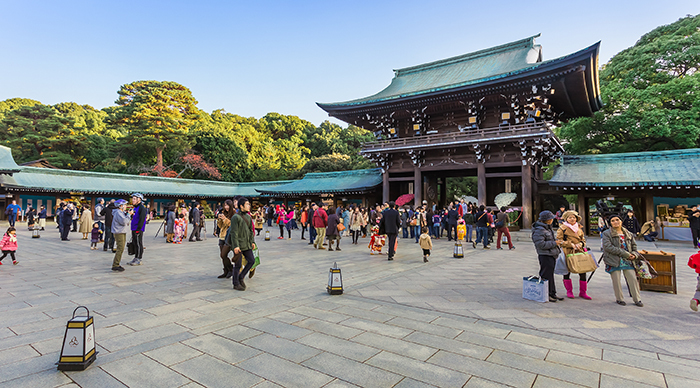 On the New Year day, it’s tradition to visit a shrine, and offer your prayers for a new start. If you’re visiting Japan for the first time, doing this at the Meiji Shrine would definitely be an experience. Slovenia is not a traditional European travel destination, and that’s a rather pity. The city is stunningly beautiful, and surprisingly tourist-free almost the entire year. It’s a lovely country to visit the year round, but when you go there in Winter, you get to enjoy the Ljubljana Dragon Carnival. This festival is also known as Shrovetide Carnival, as it celebrates the country’s Shrovetide traditions. This carnival can definitely rival Rio’s world-famous Carnival! This festival, held in Montana, Spain, is a rather riotous one. You can find many people dressing up in costumes, and plunging into the frigidly cold lake. The name of the festival literally translates to “white first party”, and is called that because it involves jumping into the chillingly cold Whitefish Lake. If that is not your cup of tea (believe us, you will want a warm cuppa after diving into that lake), you can try your hand at skiing, ice-hockey or the numerous other winter sports available in the festival. Do something different this winter! It might be tempting to stay in, under your blanket, but there is a whole world out there. So, what are you waiting for? Book your tickets, and enjoy one of these unique winter festivals, each offering an experience worth cherishing all your life! Previous PostDestinations to Visit in NovemberNext PostUNESCO World Heritage Sites You Need to See NOW!